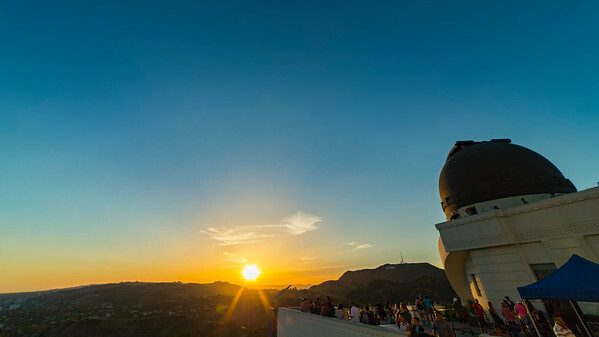 Beautiful places to travel and drive through the southwest. An overlook along the road up to Owl Creek Pass, near Ouray, Co.
Highway 152 is the curviest stretch of highway in the US, and goes right through the heart of the Black Range in southwest New Mexico. 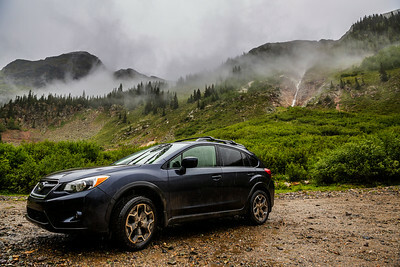 A stop along the Million Dollar Highway, between Durango and Silverton, Co. 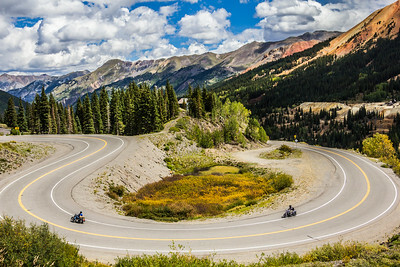 This stretch of highway 550, AKA The Million Dollar Highway, is between Silverton and Ouray, Co. 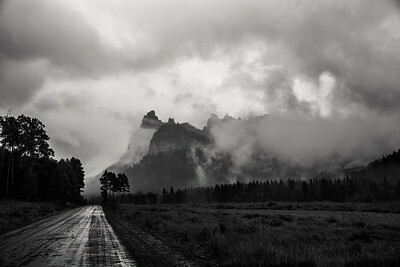 This is the Road to SilverJack Reservoir, northeast of Ouray, Co, deep in the San Juan Mountains. 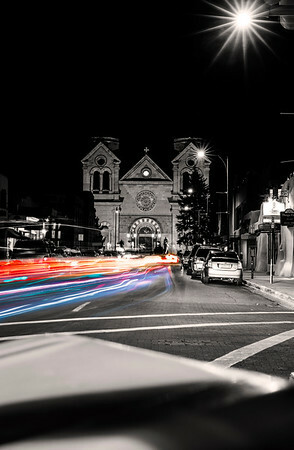 Exploring Santa Fe's downtown Plaza never gets old. 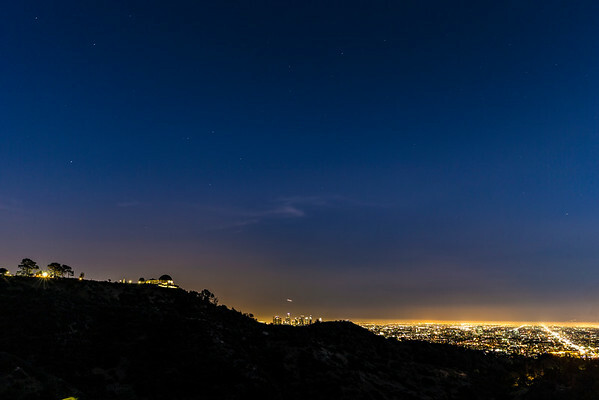 There is always something new to see, and endless shopping, dining, and exploring. 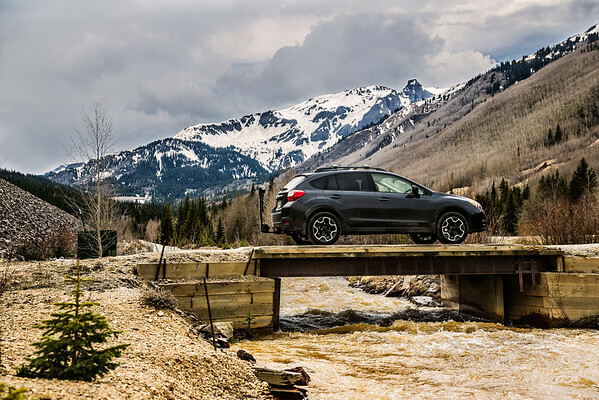 One of the many entrances to the Alpine Loop: an off-roading paradise for extreme drivers and adventurists. 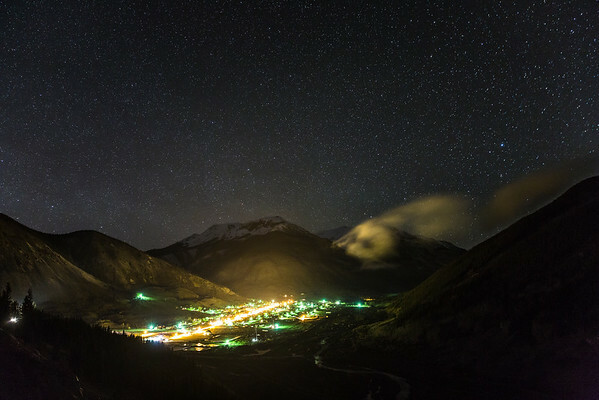 Between Ouray and Silverton, Co. 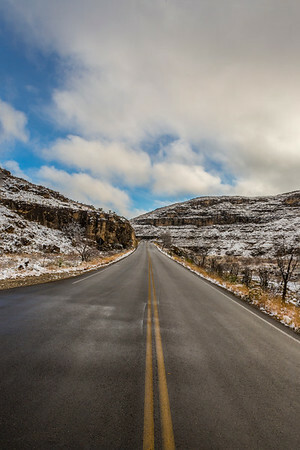 The road leading into Carlsbad National Park. 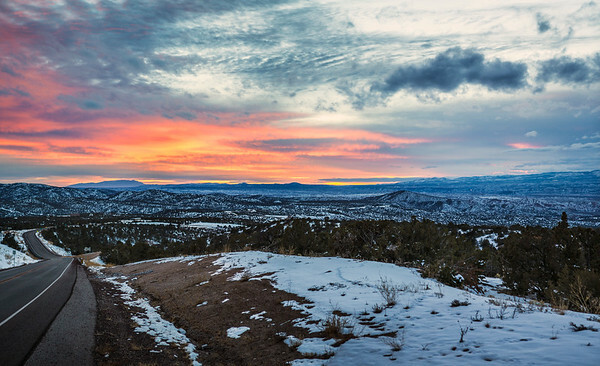 Highway 152 takes you from I-25 to Historic Silver City, New Mexico via the Black Range. 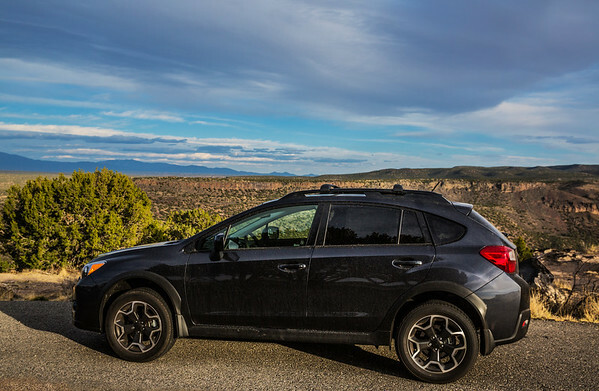 The Overlook at White Rock, New Mexico offers amazing views of the Rio Grande Gorge and is on the way of the Highway 4 loop from Jemez to Los Alamos and Santa Fe, New Mexico. 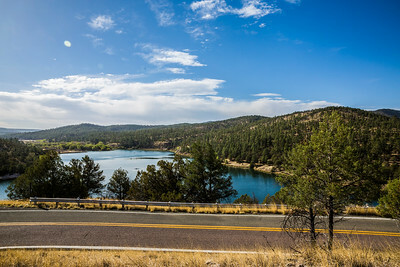 The Road to Lake Roberts and the Gila Cliff Dwellings, Highway 35 has stunning views throughout every turn. 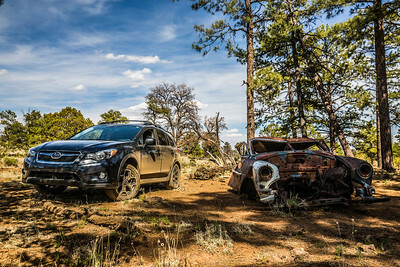 Exploring the off-roading trails around El Malpais National Park in New Mexico. 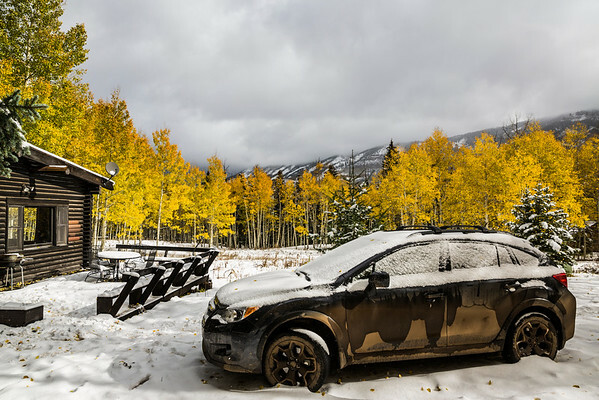 The drive up through Santa Fe National Forest is majestic any time of year, but is just incredible during the fall! 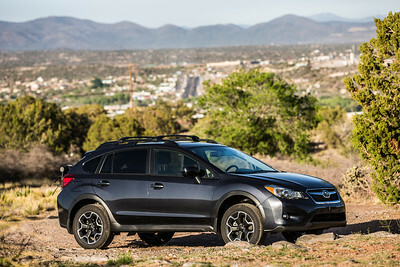 The drive up Market Street to the top of Boston Hill, overlooking Silver City, New Mexico offers spectacular hiking, biking, exploring, and views in every direction. 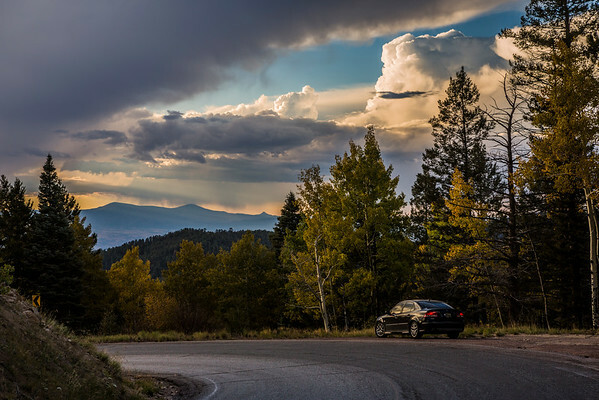 The High Road to Taos is an enchanting drive through classic northern New Mexico, filled with beautiful culture, history, and scenery. 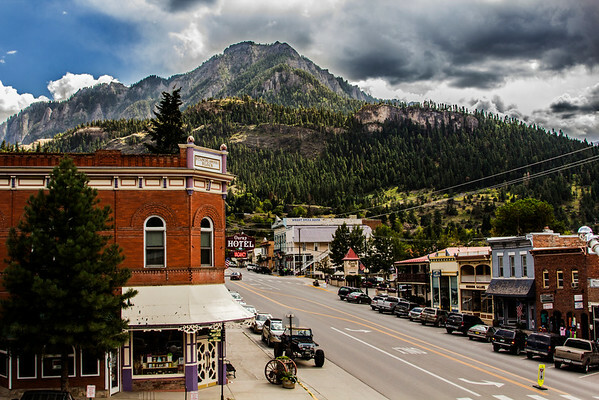 The views from the rooftop section of the Ouray Brewery are breathtaking, the food is fantastic, and the drive through town is always wonderful! 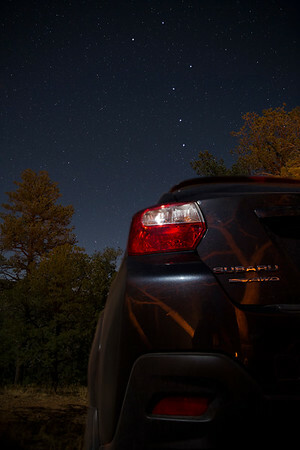 The Big Dipper hovers over the car, camping out at Water Canyon, near Socorro, New Mexico. 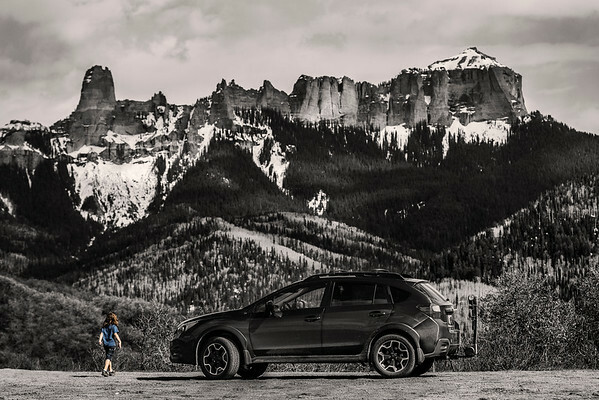 Silverton, Colorado is an amazing little town to explore; rich in history, culture, and scenery, and right on the Million Dollar Highway (Hwy 550) between Durango and Ouray. 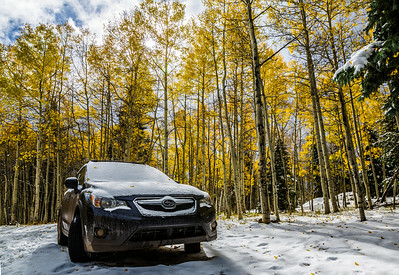 Driving up to a beautiful cabin in San Juans in early October, a winter storm slammed us to all but a halt up at Red Mountain Pass, but the Subaru got us there with no issues. 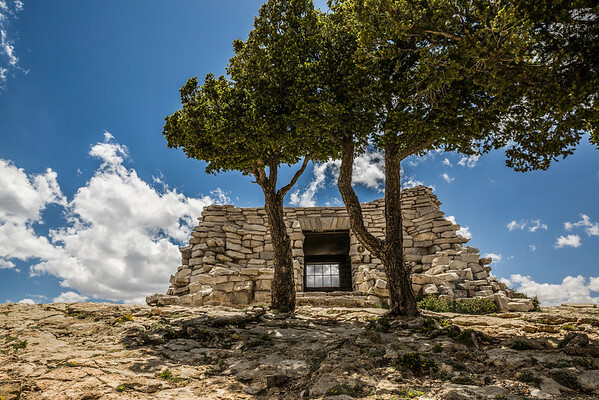 This historical cabin is at the top of the Sandia Crest in Albuquerque, New Mexico, and is an incredible hike and experience. 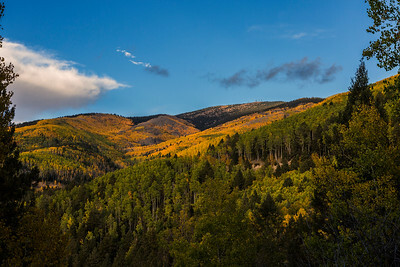 A beautiful display of fall colors from the aspens high in the San Juan mountains of southern Colorado. 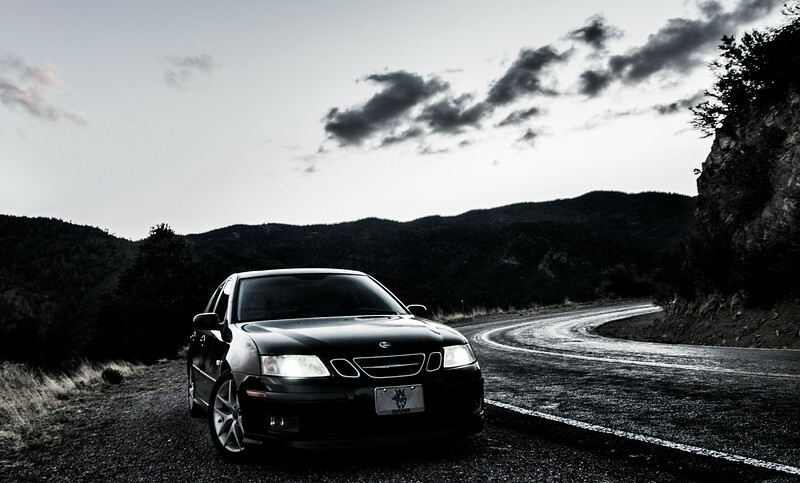 No place better for amazing fall drives.